(all definitions are copied from Wikipedia) Companionship An interpersonal relationship is an association between two or more people that may range from fleeting to enduring. This association may be based on limerence, love, solidarity, regular business interactions, or some other type of social commitment. Compassion is a virtue — one in which the emotional capacities of empathy and sympathy (for the suffering of others) are regarded as a part of love itself, and a cornerstone of greater social interconnection. When I first looked at this picture I noticed the misspelled word..then I had to look deeper. It took my breath away. WOW! 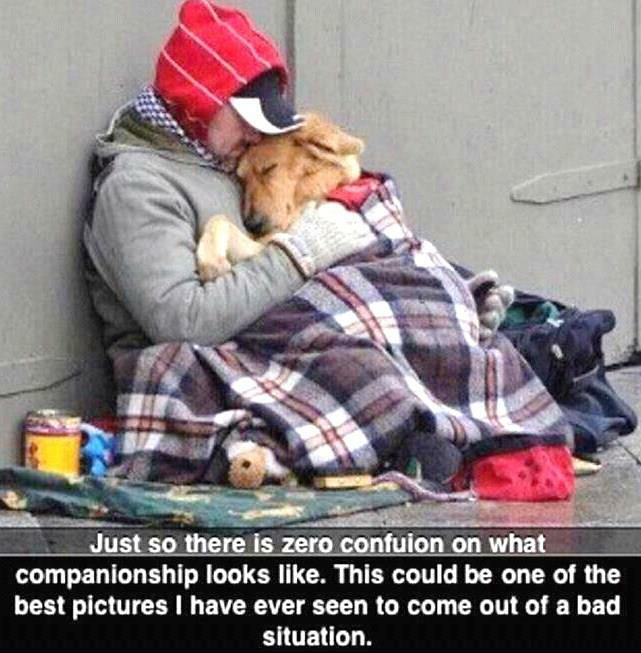 Compassion is a word that instantly comes to mind.A humans two biggest need are to be loved and accepted. Love is an emotion of strong affection and personal attachment. Love is also a virtue representing all of human kindness, compassion, and affection; and "the unselfish loyal and benevolent concern for the good of another".